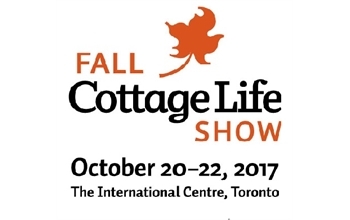 The 14th annual Fall Cottage Life Show is happening October 20-22, at the International Centre. Do it yourself, or leave it to the experts! Let them help you plan your next project- big or small. From boats to docks to furniture, decor, and building products, they've got everything to help you get started. They've got over 225 exhibitors to help you find that perfect addition to summer retreat and great new features and events that are fun for the whole family.